Dr. Yendamuri also sees lung cancer patients at the Niagara Falls Memorial Medical Center. To request an appointment, call 716-278-4597. Yendamuri S. Massive Airway Hemorrhage. Thorac Surg Clin 2015 Aug; 25(3):255-60. Patnaik SK, Yendamuri S, Mallick R, Dhillon SS. Reply to “MiR-205 and miR-375 microRNA Assays to Distinguish Squamous Cell Carcinoma From Adenocarcinoma in Lung Cancer Biopsies”. J Thor Oncol. 2015 Jun; 10(6):e53. Hennon MW, Dexter EU, Huang M, Kane J, Nwogu, Picone A, Yendamuri S, Demmy TL. Does Thoracoscopic Surgery Decrease the Morbidity of Combined Lung and Chest Wall Resection. Ann Thor Surg. 2015 Jun; 99(6) 1929-34. Patnaik S, Mallick R, Kannisto E, Sharma R, Bshara W, Yendamuri S, Dhillon SS. MiR-205 and MiR-375 MicroRNA Assays to Distinguish Squamous Cell Carcinoma from Adenocarcinoma in Lung Cancer Biopsies. J Thorac Oncol 2015 Mar; 10(3): 446-53. Dhillon SS, Yendamuri S, Harris K, Roche C, Pokharel S. Lymphangioma Presenting as Hemoptysis in Pregnancy. Am J Respir Crit Care Med 2014 Sept 15; 190(6): 701-3. Battoo A, Jahan A, Yang Z, Nwogu C, Yendamuri S, Dexter E, Hennon M, Picone A, Demmy T. Thoracoscopic Pneumonectomy An 11-Year Experience. Chest 2014; 146(5) 1300-9. Yendamuri S. Invited Commentary. Ann Thorac Surg 2014; 97(3): 986. Nurkin SJ, Nava HR, Yendamuri S, LeVea CM, Nwogu CE, Groman A, Wilding G, Bain AJ, Hochwald SN, Khushalani NI. Outcomes of Endoscopic Resection for High-grade Dysplasia and Esophageal Cancer. Surg Endosc 2014 Apr; 28(4): 1090-5. Dy G, Bogner P, Tan W, Demmy T, Farooq A, Chen H, Yendamuri S, Nwogu C, Bushunow PW, Gannon J, Adjei A, Adjei A, Ramnath N. Phase II Study of Perioperative Chemotherapy with Cisplatin and Pemetrexed in Non-small Cell Lung Cancer. J Thorac Oncol 2014; 9(2):222-30. Hennon M, Yendamuri S. [Advance in Lung Cancer Surgery]. Zhongguo Fei Ai Za Zhi 2013; 16(3): C5-C8. Yendamuri S, Sharma R, Demmy M, Groman A, Hennon M, Dexter E, Nwogu C, Miller A, Demmy T. Temporal Trends in Outcomes Following Sublobar and Lobar Resections for Small (≤2 cm) Non-small Cell Lung Cancers – a Surveillance Epidemiology End Results Database Analysis. J Surg Res 2013; 183 (1): 27-32. Kukar M, Groman A, Malhotra U, Warren GW, Bogner P, Nwogu CE, Demmy TL, Yendamuri S. Small Cell Carcinoma of the Esophagus: A SEER Database Analysis. Ann Surg Oncol; 2013 Dec;20(13):4239-44. Epub 2013 Aug 14. Dhillon SS, Yendamuri S. Needle Assembly Malfunction: An Unusal Complication Related to Endobronchial Ultrasound-guided Transbronchial Needle Aspiration. J Bronchology Interv Pulmonol. 2013; 20(3): 252-55. Huang M, Manuballa S, Demmy TL, Yendamuri S. Transcervical Extended Mediastinal Lymphadenectomy – Indications and Technique. Indian Journal of Surgical Oncology. 2013; 4(2): 138-41. Battoo A, Demmy TL, Yendamuri S. Complex Thoracoscopic Pulmonary Resections for the Treatment of Lung Cancer-A Review. Indian Journal of Surgical Oncology. 2013; 4(2): 142-47. Platz TA, Nurkin SJ, Fong MK, Groman A, Flahert L, Malhotra U, Le Vea CM, Yendamuri S, Warren GW, Nava H, May KS. Neoadjuvant Chemoradiotherapy for Esophageal/gastroesophageal Carcinoma. J Gastrointest Oncol 2013; 4(2): 137-43. Yendamuri S, Demmy T. Reply to the editor. J Thorac Cardiovasc Surg 2013; 145(4): 1150-1. Nwogu C, Yendamuri S, Tan W, Kannisto E, Bogner PN, Morrison CD, Cheney RT, Dexter EU, Picone AL, Hennon MW, Hutson A, Reid ME, Adjei A, Demmy TL. Lung Cancer Lymph Node Micrometastasis Detection Using Real-time Polymerase Chain Reaction: Correlation with Vascular Endothelial Growth Factor Expression. J Thorac Cardiovasc Surg. 2013; 145(3):702-8. Yendamuri S, Demmy TL. Author Reply. Ann Thorac Surg. 2013 Jan;95(1):385-86. 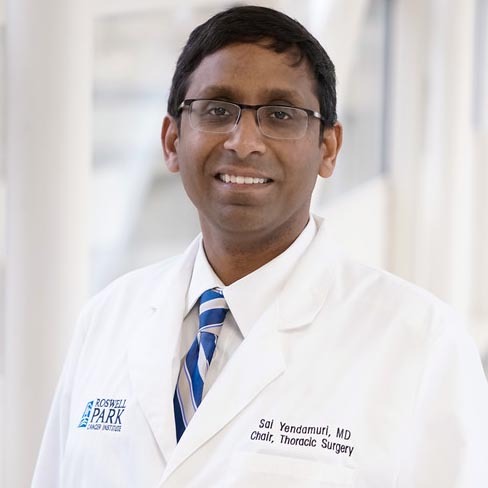 Hennon M. Yendamuri S. Advances in Lung Cancer Surgery. J Carcinogenesis. 2012; 11:21. Patnaik SK, Dahlgard J, Mazin W, Kannisto E, Jensen T, Knudsen S, Yendamuri S. Expression of MicroRNAs in the NCI-60 Cancer Cell-lines. PLoS One. 2012; 7(11): e49918. Jayaprakash V, Loewen G, Mahoney M, Dhillon S, Yendamuri S, Hograth K, Delgado-Machare E, Reid M. Effect of Impaired Lung Function on the Development and Progression of Endobronchial Premalignant Lesions. J Cancer Therapy. 2012; 3(4A): 364-71. Yendamuri S, Demmy TL. Typical Bronchial Carcinoid Tumor: Focus on Surgical Management. Ann Thor Surg 2013; 95(1): 385-6. Jayaprakash V, Loewen G, Dhillon S, Moysich K, Mahoney M, Yendamuri Y, Hograth K, Reid M. Early Detection of Lung Cancer Using CT Scan and Bronchoscopy in a High Risk Population. J Cancer Therapy. 2012; 3(4A): 388-96. 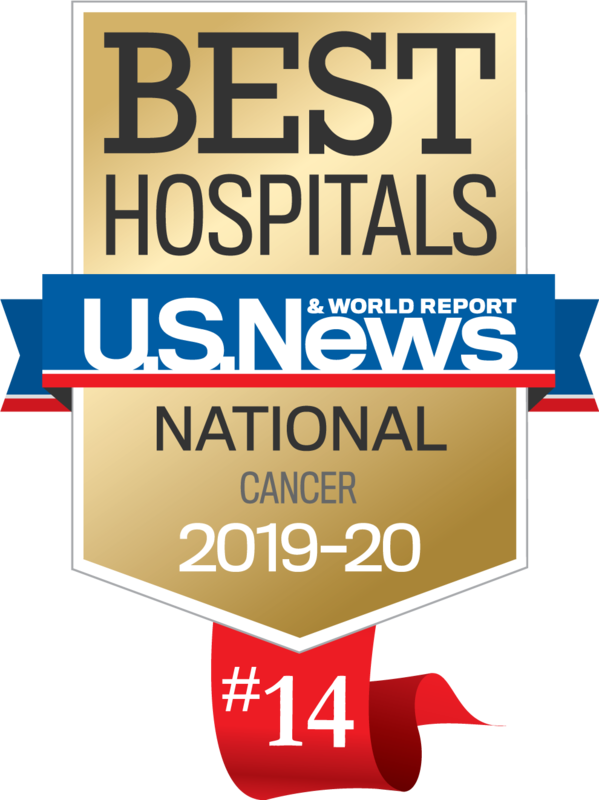 Nwogu CE, Groman A, Fahey D, Yendamuri S, Dexter E, Demmy T, Miller A, Reid M. Number of Lymph Nodes and Metastatic Lymph Node Ratio are Associated with Survival in Lung Cancer. Ann Thorac Surg. 2012 May; 93(5):1614-9; discussion 1619-20. Epub 2012 Mar 20. Nurkin S, Nava H, Yendamuri S, LeVea C, Nwogu C, Wilding G, Khushalani N. Outcomes of Endoscopic Resection for High Grade Dysplasia and Esophageal Cancer. Gastrointest Endosc 2012; 75(4 Suppl. ): 473.